Coming off one of the best debuts in Lion Fight history, Steve Walker, looks to make a statement come September 29 at Lion Fight 38 as he takes on Robert Morrow in a Super Cruiserweight fight. 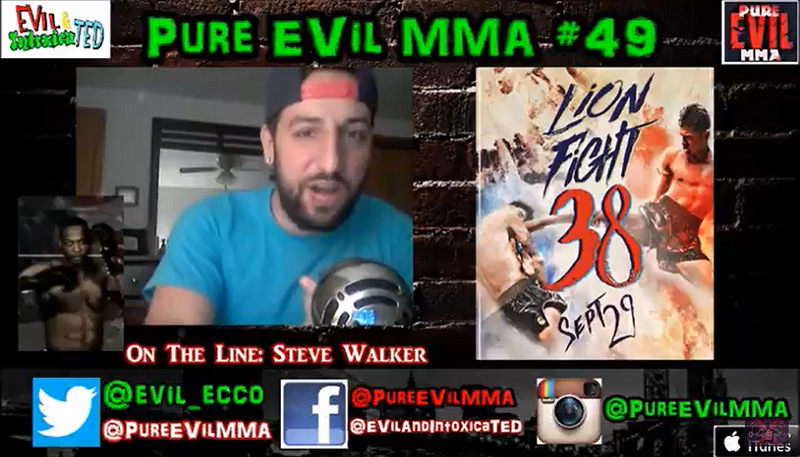 “EVil” Eddie gets to sit down with Steve “Put Em to Sleep” Walker and has him open up about making an impact on his community and being a fighter and role model in the inner city. He also shares his thoughts on cyber bullying of kids and fighters in this new age of technology and how combat sports is growing in recent years due to stars like Ronda Rousey and Conor McGregor.